Find an injured or dead bird? Connecting people with nature, conserving and restoring natural ecosystems, focusing on birds and other wildlife. We are a chapter of the National Audubon Society. We have a membership of about 1,100 and hold monthly meetings in Jacksonville from September to May. We offer field trips, programs, workshops and other activities throughout the year. Under the drop down menu, you will find our calendar of events. We hope you'll join us! Please Donate to Duval Audubon! As a volunteer-run non-profit, we are grateful for your donations. Every contribution helps to continue our work in Northeast Florida! A COPY OF THE OFFICIAL REGISTRATION (#CH4724) AND FINANCIAL INFORMATION FOR DUVAL AUDUBON SOCIETY, A FLORIDA-BASED NONPROFIT ORGANIZATION, MAY BE OBTAINED FROM THE DIVISION OF CONSUMER SERVICES BY CALLING TOLL-FREE 1-800-HELP-FLA (435-7352) WITHIN THE STATE OR VISITING WWW.FLORIDACONSUMERHELP.COM. REGISTRATION DOES NOT IMPLY ENDORSEMENT, APPROVAL, OR RECOMMENDATION BY THE STATE. "In the past year, Floridians have suffered devastating impacts from toxic algal blooms and red tide, threatening economic vitality and human and ecological health. There are many factors contributing to these blooms, including too many nutrients, overdrainage, and destruction of wetlands. Scientists have repeatedly confirmed the role wetlands play in cleansing water, storing water, and recharging aquifers. On the heels of today’s celebration of World Water Day, the EPA has proposed dropping huge acreages of wetlands, streams, and lakes from receiving federal Clean Water Act protections. The protections are in the “Waters of the U.S. Rule” (WOTUS), and the proposed changes would further weaken protections of critical wetland habitats for species like the endangered Wood Stork. The EPA and the Army Corps of Engineers should be strengthening, not weakening protections!" Click here to tell federal agencies to keep these important wetland protections. 10 Easy Ways To Be "Bird Friendly"
1. Plant natives in your yard. 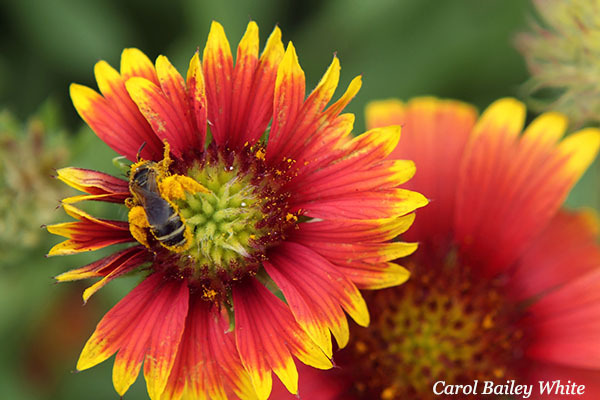 Native plants support birds (and butterflies and bees, too!) by providing food, shelter, and nesting sites as well as stopover habitat during migration. Native plants also need far less fertilizer and water than their non-native counterparts, reducing your costs! 2. Reduce or eliminate pesticide use. Pesticides are poisons that are designed to kill all insects that come into contact with them, including the bees that pollinate our plants, and other insects that are a vital food source for many birds. 3. Install bird feeders to enhance your birdscaping. Give birds a boost during winter and migration by offering black oil sunflower seeds, suet, and other high-energy foods. 4. Create a water feature on your property. Birds get thirsty, too! A small birdbath, fountain, or pond can quench a bird’s thirst. Birds need water in the winter, too, so make sure you give them fresh water year-round. 5. Put up birdhouses to encourage nesting. Many birds nest in cavities, but as our communities become more developed, natural holes in old trees are few and far between. Download FREE birdhouse plans at nestwatch.org. 6. Make your windows “bird safe.” Up to one billion birds die each year in the United States when they hit glass windows, walls, and other structures, making this threat one of the most costly to bird populations. Apply decals to your windows to break up reflections so birds can “see” the windows and avoid them! 7. Keep your cats indoors. Predation by domestic cats is the number-one direct, human-caused threat to birds in the United States and Canada. In the United States alone, outdoor cats kill approximately 2.4 billion birds every year. Not only will keeping your cat inside help protect birds, but it will also keep your cat safe from threats from other wildlife, car collisions, and other dangers. 8. Switch to shade-grown coffee. Each cup of shade-grown coffee preserves roughly two square feet of rainforest, critically important habitat for a huge number of migratory birds as well as endemic species. 9. Become a citizen scientist. Your observations help scientists understand a changing world. Track your work on eBird.org. Every sighting matters - contribute yours! eBird tallies your sightings and archives your photos and sounds—all for free. 10. Join the Duval Audubon Society. Our mission is to connect people with nature through the enjoyment of birds and other wildlife in Duval, Clay, and Nassau Counties. Our primary focus is on the preservation of a diversity of species and habitats, through education, conservation, environmental leadership and community involvement. We offer a variety of field trips, programs and volunteer opportunities that are open for anyone to attend. Join online at duvalaudubon.org. 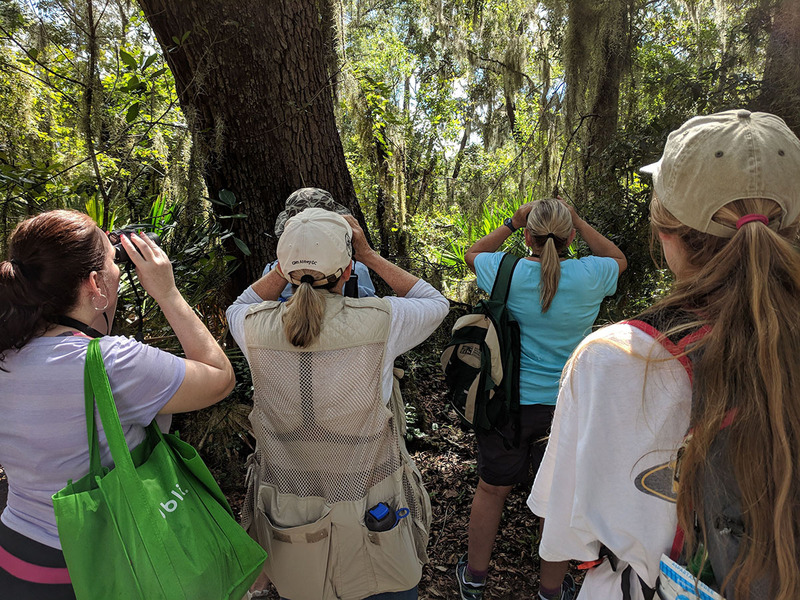 Our Beginning Bird Walks at Fort Caroline and the Theodore Roosevelt Area are continuing on the first Sunday of every month in partnership with the National Park Service and the Timucuan Ecological and Historic Preserve. 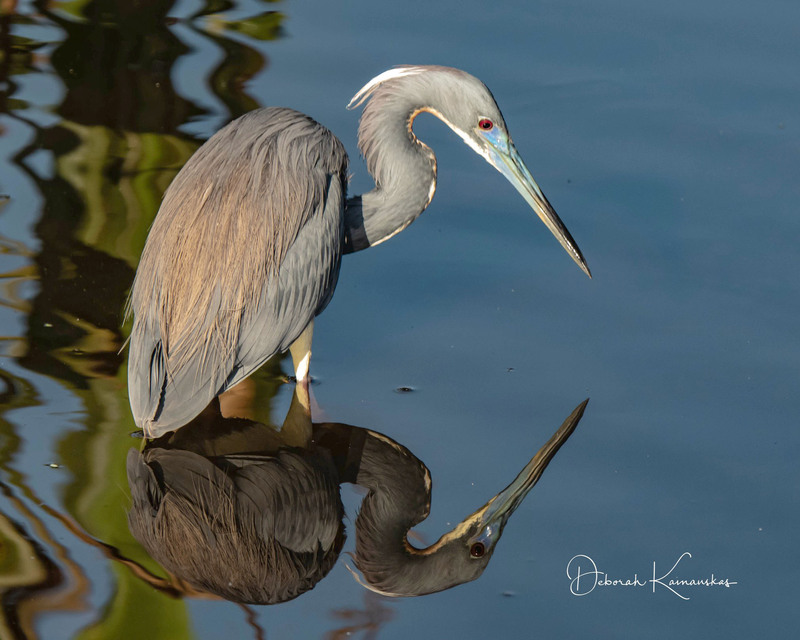 Several great field trips are coming up this month as well: April 6 - Sweetwater Wetlands Park; April 13 - Julington-Durbin Preserve, April 14 - Egans Creek Greenway, April 20 - Jacksonville Arboretum & Gardens, and April 30 - Spoonbill Pond. Check our Calendar of Events for more information on all of our activities. On April 15, join us for our monthly program at the Charles M. Neviaser Education Institute of Community Hospice: "A Tern for the Better: Shorebird Conservation in Northeast Florida" from Chris Farrell, Audubon Florida's Northeast Florida Policy Associate. We'll have some fun bird-related items available for a small donation, too! Light refreshments at 6:30 pm; program starts at 7 pm. Got bird pics? Join us for our annual "Best of us: Photo Sharing and Potluck Dinner" end-of-season get-together starting at 6:30 pm on Monday, May 20 at the Charles M. Neviaser Education Institute of Community Hospice. Contact Deb Kainauskas at 904-254-0148 to reserve your spot for sharing your images. Love nature? Want to help share that love of nature with others? Consider applying to join Duval Audubon Society’s Board of Directors. Founded in 1939, Duval Audubon Society is a chapter of Audubon Florida and the National Audubon Society. We currently have approximately 1,100 members in Clay, Duval and Nassau counties and are a 501(c)3 non-profit organization. Our chapter is dedicated to the enjoyment of birds and other wildlife. We have a primary focus on the preservation of a diversity of species and habitats through education, conservation, environmental leadership and community involvement. We offer a variety of field trips, programs, and volunteer opportunities that are open for anyone to attend. Currently there are three Board vacancies and we encourage anyone interested in serving as a Board member to apply. Board members are expected to attend monthly meetings and participate in chapter activities on a regular basis. Board Officers are appointed for a one-year term, and Directors serve for two years. The Clay County Conservation Chair (a Director position) works on conservation issues in the Clay County area. This position serves a two-year term but may continue if willing and approved by the Board. The Education Chair (a Director position) works with the President and Vice President to present educational outreach programs to school groups and other organizations in Clay, Duval, and Nassau Counties. The Education Chair serves a two-year term but may continue if willing and approved by the Board. The Volunteer Chair (a Director position) helps with recruiting volunteers from the chapter membership and the community for chapter projects and activities such as leading field trips, representing the chapter at outreach events, helping with monthly cleanups, and other projects as determined by the Board. The Volunteer Chair serves a two-year term but may continue if willing and approved by the Board. 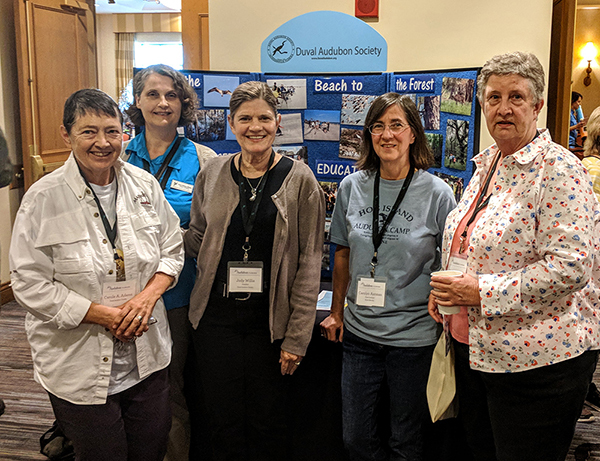 If you are committed to helping to connect people with nature, please consider applying to join us in managing our chapter. You don’t have to be a great birder but having a love for nature and a passion for protecting and conserving birds and other wildlife would make you a wonderful addition to our team! Questions? Please feel free to contact Jody or any current Board member. Take Action to Protect Wildlife: Contact your Government Representatives! Florida is growing in leaps and bounds, more than one million more people now than in 2010! It’s hard to miss all the new development. For us and the birds and wildlife, it is our responsibility to ensure that new development happens in the most environmentally safe way possible. Duval Audubon Society will try to keep you informed of related current issues and how you can make your voice heard. While you may get alerts from organizations asking you to sign petitions, calling or emailing your representative is much more effective. A call is the best and only takes a minute. You only need to identify yourself and indicate if you support or don’t support the issue involved. If it is a particular bill, the number of the bill should be noted. Click here to subscribe to our e-newsletter!